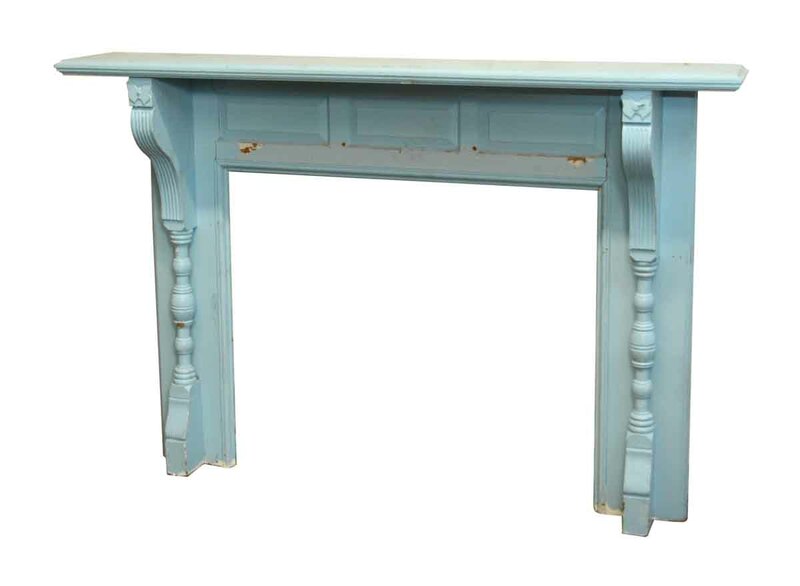 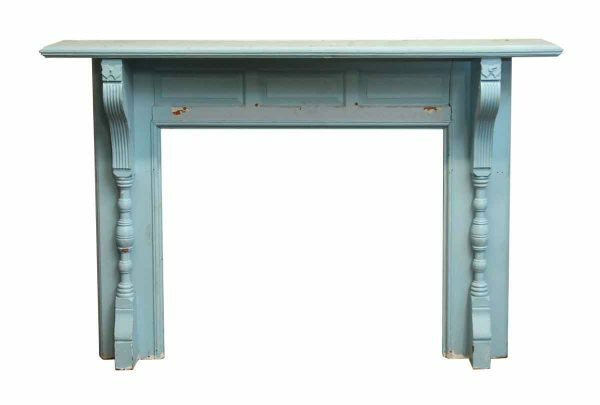 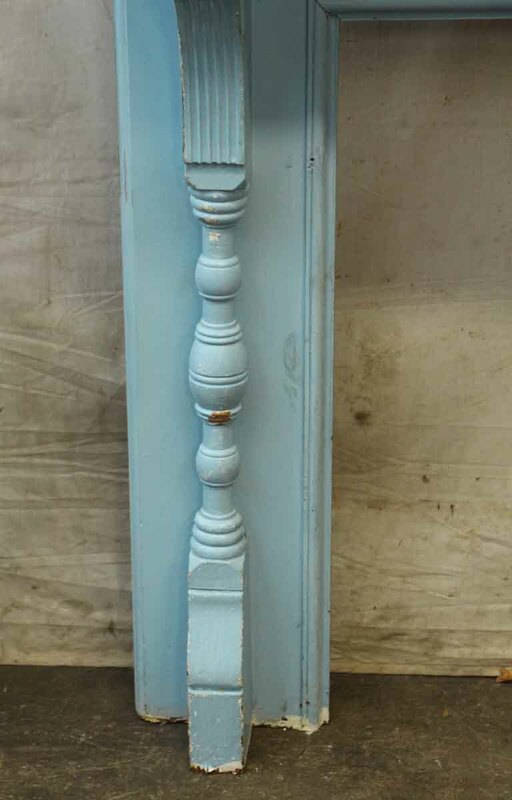 Victorian, wooden mantel painted a pastel, robin’s egg blue. 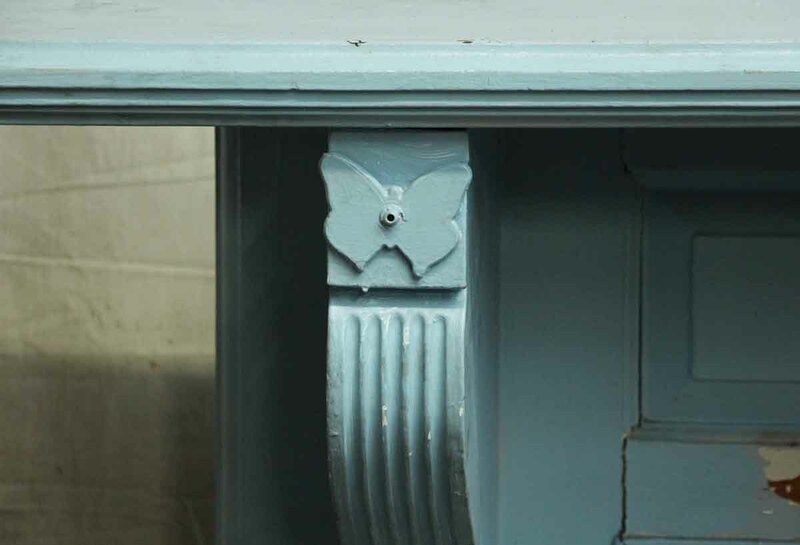 The columns feature a clean and simple butterfly motif. 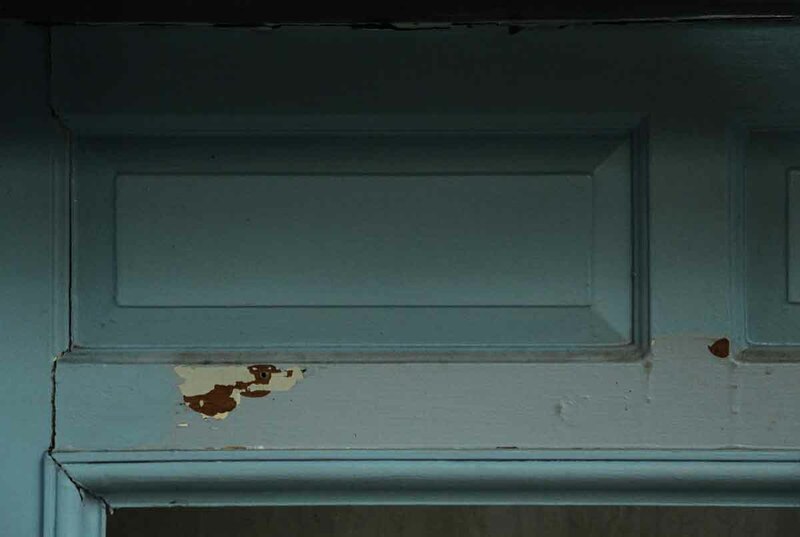 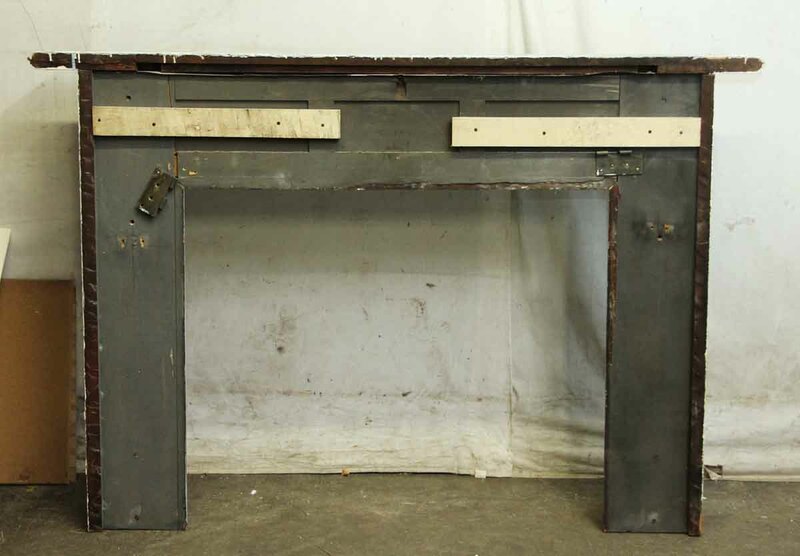 The mantel bears some surface wear in the paint, however, it can easily be restored.